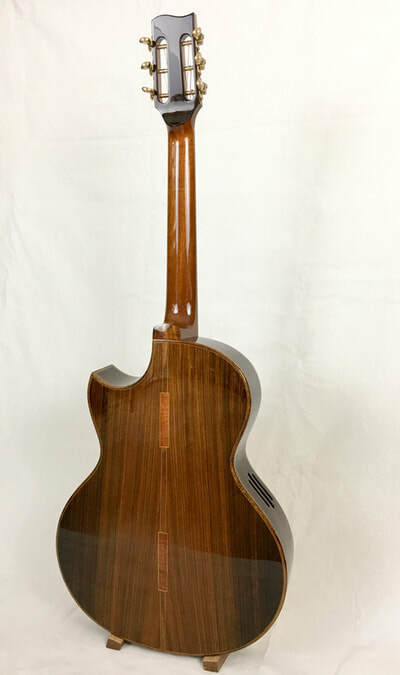 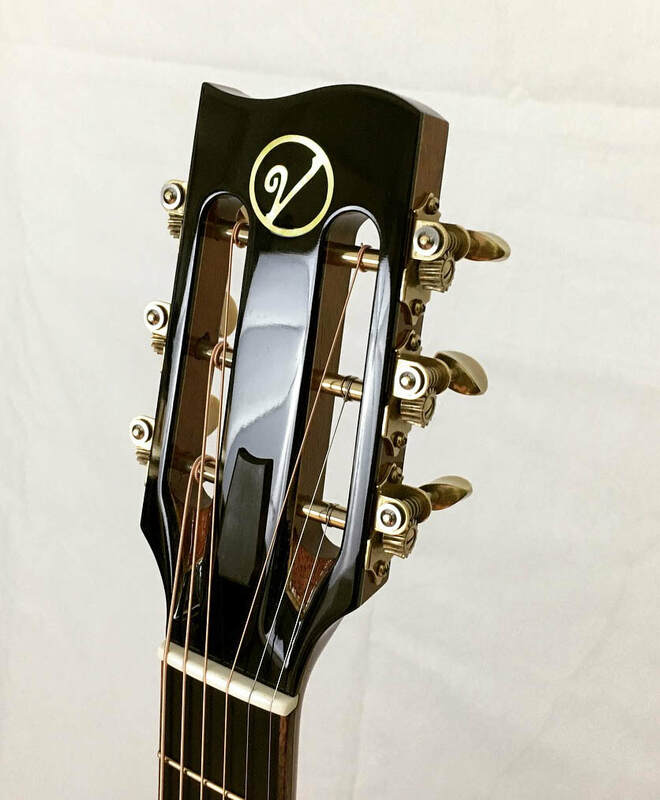 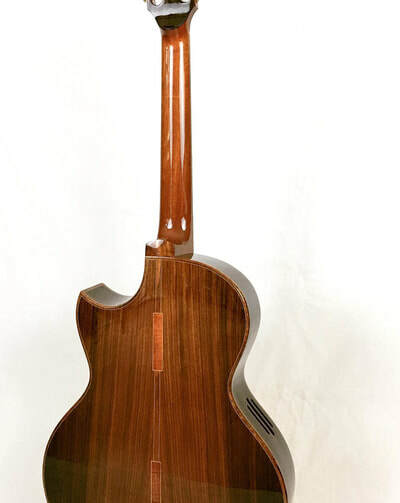 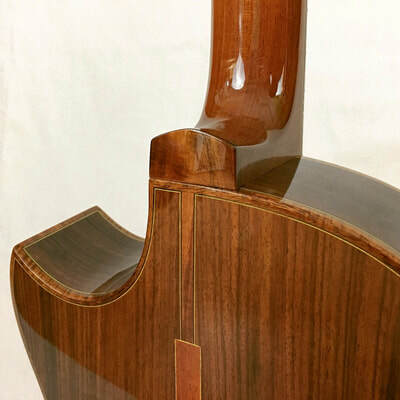 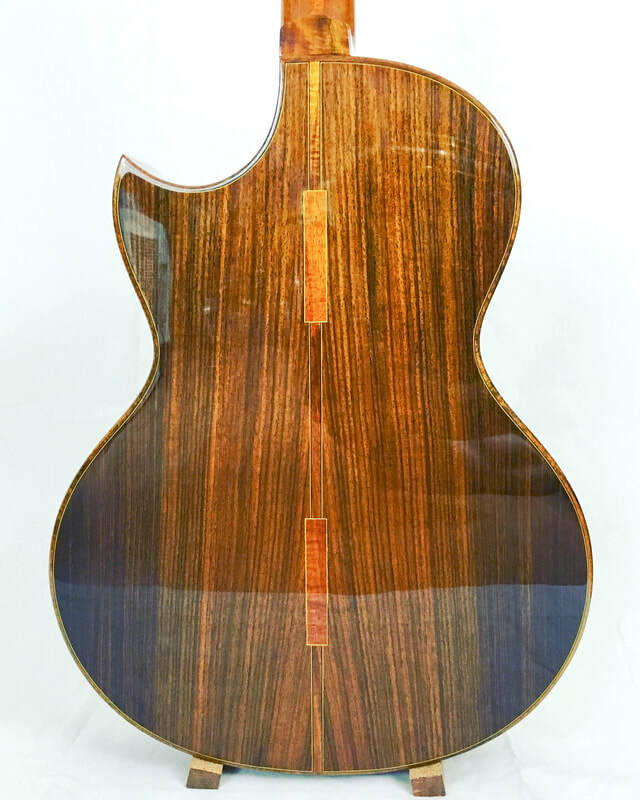 The Viacali RT is a 000/OM shape that was created by Richmond Talbott (one of Harrison Phipps's mentors). 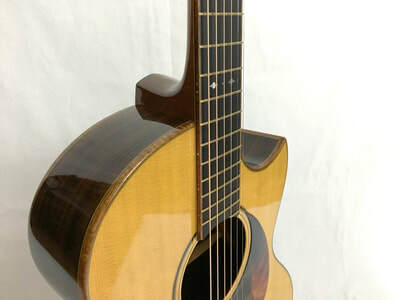 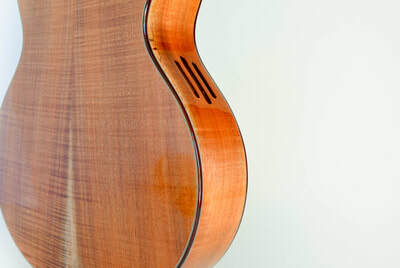 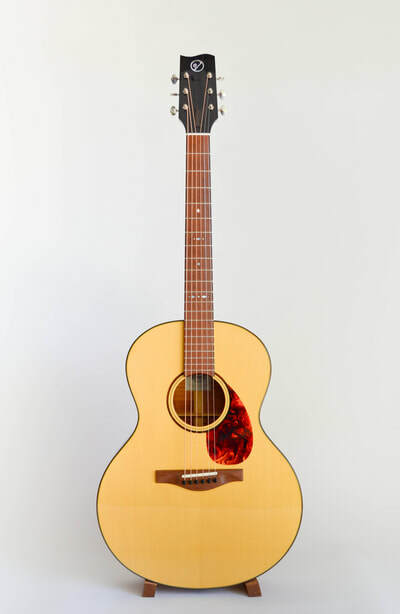 Narrow-waisted but with a large lower bout, the RT exhibits crisp articulation of the bass notes, making it equally suited for fingerpicking and flatpicking. 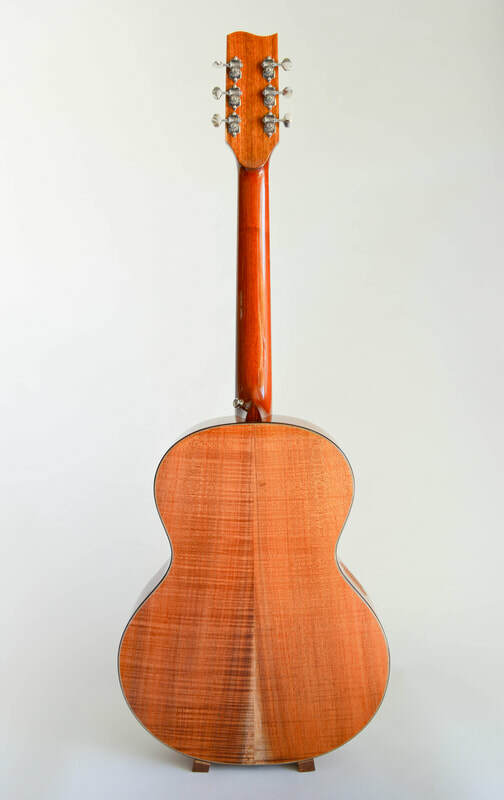 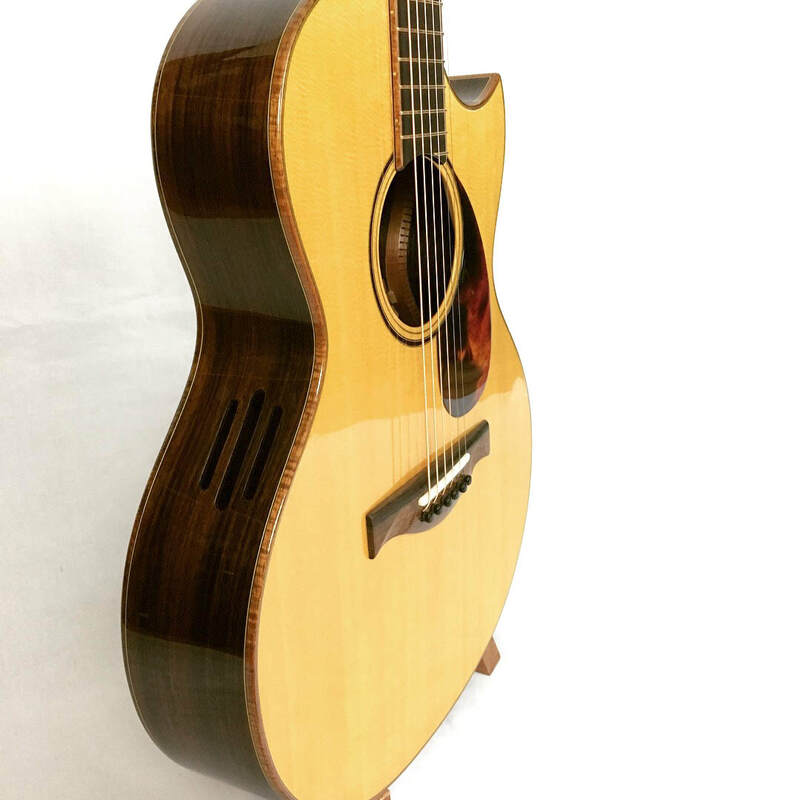 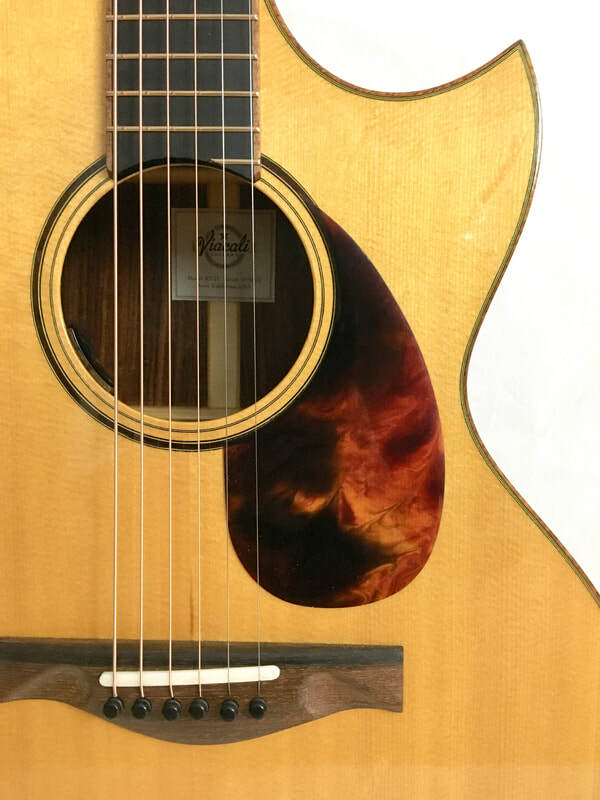 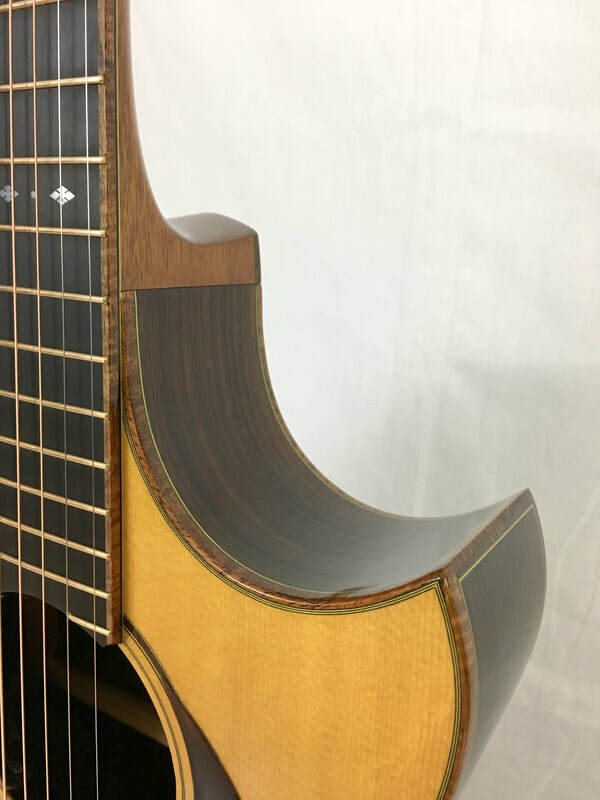 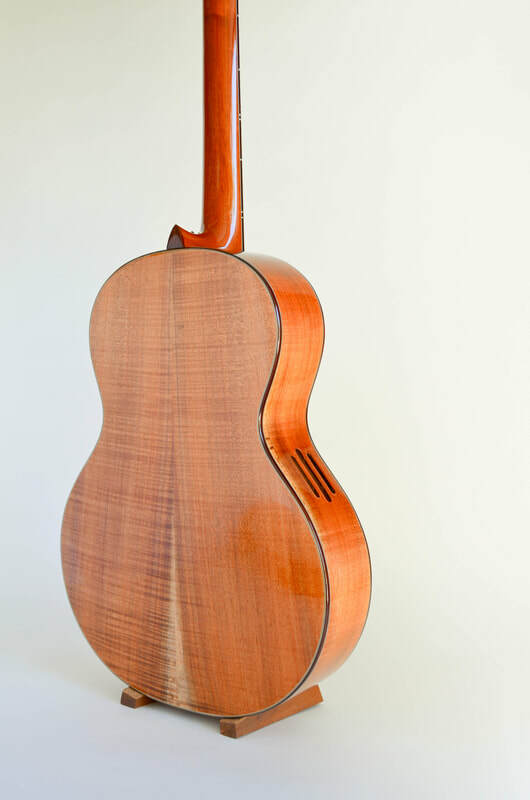 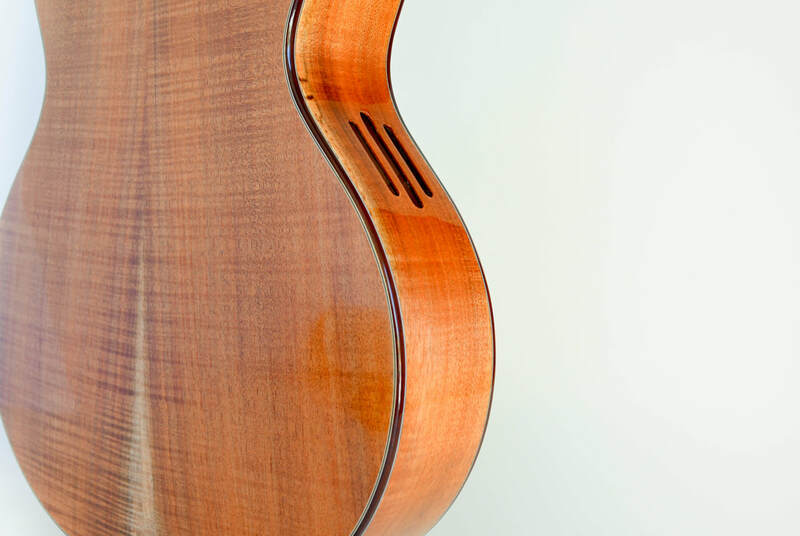 The shape lends itself well to the Florentine cutaway, but is available as a standard model without the cutaway.